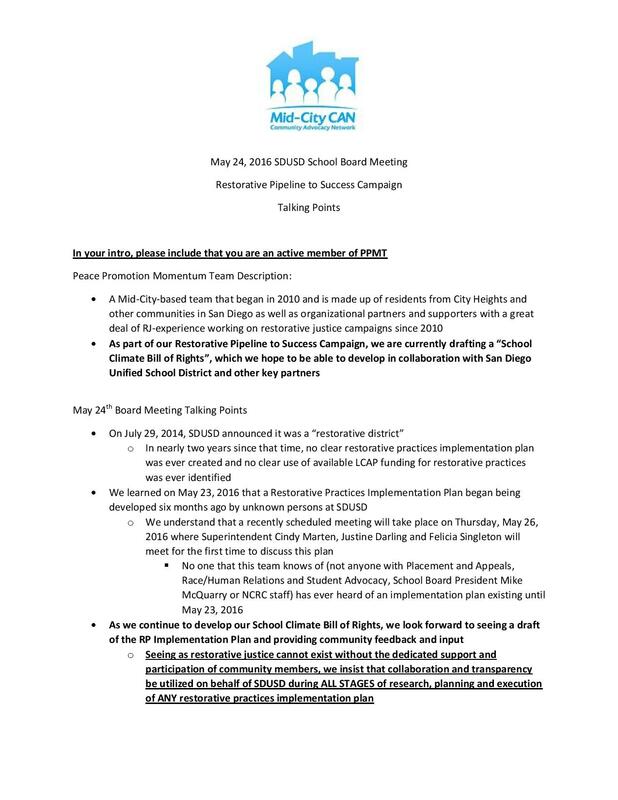 District Deeds has learned that the Mid-City Community Action Network (Mid City CAN) via the Peace Promotion Momentum Team group has been notified that a SECRET “Restorative Practices Implementation Plan” will be UNVEILED on Thursday by the San Diego Unified School District!!! A number of PPMT Members will be speaking at the SDUSD Board Meeting TONIGHT! The PPMT Members will be wearing the button (illustrated below) and are prepared to discuss the talking points above. Please either attend the meeting or watch it via the streaming link at 5:00 pm today! 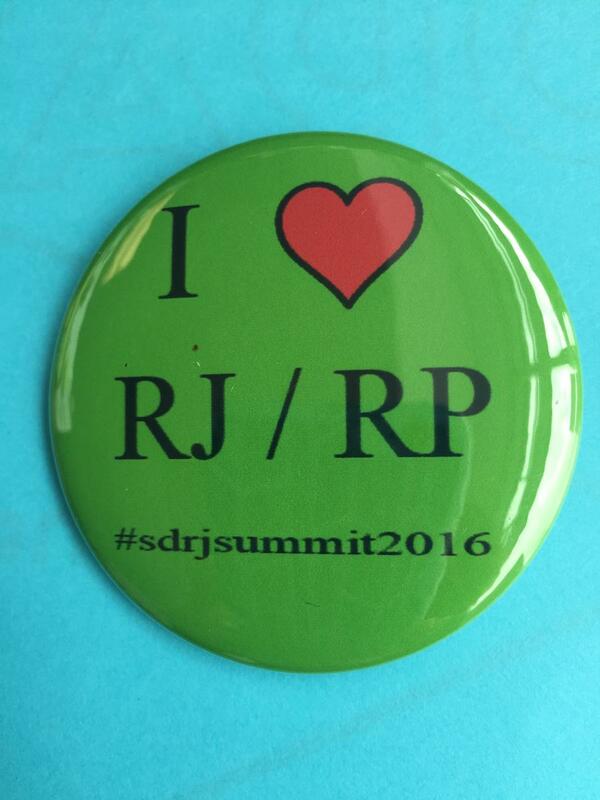 SUPPORT EFFECTIVE AND COMMUNITY COLLABORATIVE RESTORATIVE PRACTICES!!! 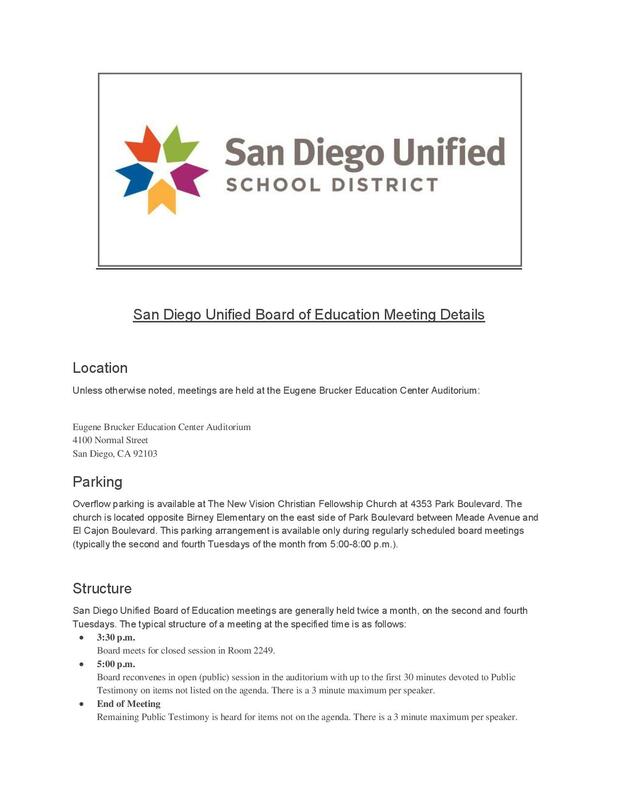 If your family has been injured by the San Diego Unified School District, go to the District Deeds Complaint Forms page to find instructions to fight for your Civil Rights! I hope District Deeds is looking into the allegation that the principal at Serra High has a bogus Ph.D. degree. Didn’t the District vet this guy before hiring him?